Cut through the clutter -- these are worth your time. 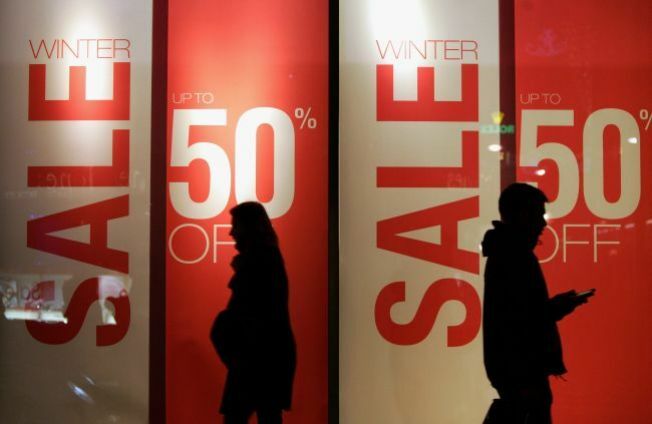 Take the holiday shopping rush, add a cup of economic downturn, and you've got Sale Heaven. We've picked out some of this week's best around town. C&C California: Celebs and Angelenos in the know swear by C&C's soft, perfect-fit T-shirts and sweaters. Online only, cashmere sweaters are $79-$89, plus 50% off sales and clearance (use secret code 'GL1216' at checkout screen). Now-Dec. 17. Bloomingdales: Get Mom, Dad, the kids and in-laws done in one place. Bloomies offers 40% off both and online and in-store at the Beverly Center and Century City. Ongoing. The Gap: Get up to 50% off select items. Be sure to snag the special online coupon for hats and scarves for $5-$10! RD Imports: You heard it on the Today Show this morning -- now is the time to buy big items on sale for yourself, too. Save 50%-80% on designer furniture at 14501 S. Figueroa St. in Gardena (310-324-8101).